I get a lot of email from the friends and family of murder victims, due to my book about the NYPD’s cold case squad, and the blog I maintain specifically to help people (and to try to sell books too, of course). They ask for help, I tell them what to do and most of the time I never hear from them again. I wonder how they made out, but I realized I already know. So the chances are that all those people who have contacted me over the past six years still don’t have any more answers than they did when they first wrote me. 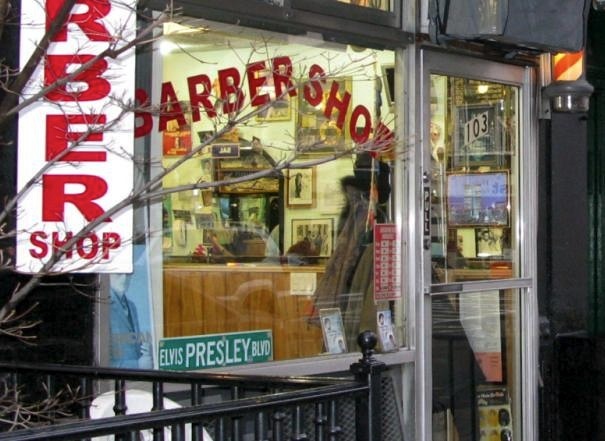 An old-time barber shop on 11th Street that I pass by every Tuesday on my way to choir practice. Thank you! I see so so so many photographs on the web that are a thousand times better than mine though, but thank you! !